Sandra came for a lesson last week and was the first person to benefit from using the K-Vest. Three days after using it she won a competition! Below is a description of how it helped her. 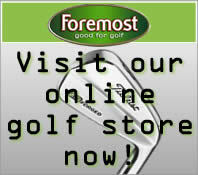 Sandra's main fault is an 'over the top' downswing leading to a slice and a loss of distance. 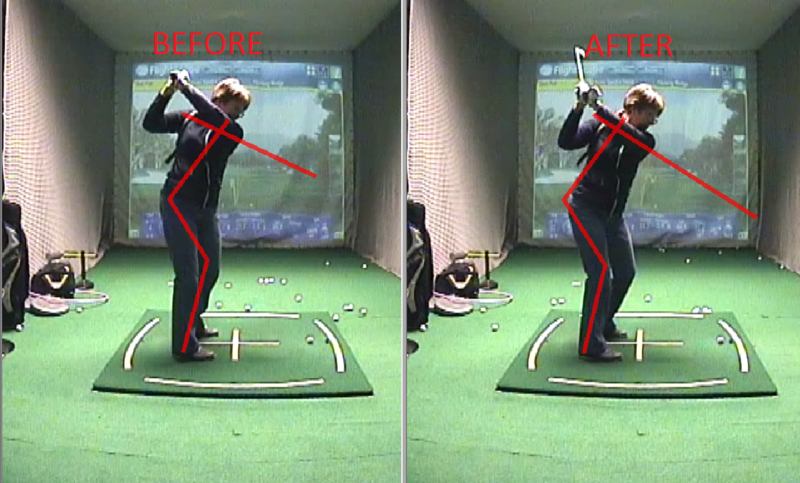 As you can see in the picture on the left, Sandra had a tendency to lift out of her original posture, causing the club to go back too far and her body to get out of position. The K-Vest helped her to see that she was over rotating her hips in the backswing by about 20 degrees, mainly due to a lack of right leg stability. As you can see in the picture on the right, Sandra is now turning her hips less due to a more stable right side. This is now helping her to swing down on a better plane.